Whilst rummaging around looking for my 6%+ deals I noticed this little interesting property just off Canterbury Road. It’s an end-of-terrace 3 bedroom property with two reception rooms which is in very good decorative condition and on the market for £140,000. This property was last on the market in 2009 and sold for approx £130,000. Whilst it is only 0.8 miles from Folkestone’s fast train to London (58 minutes), it’s unlikely to attract commuters because of the steep hill between the station and Invicta Road, however the area is popular with blue and white collar workers with families who work full or part time. The property lacks carpets in the downstairs areas and is ideal for pet owners in that regard. Accepting a cat or a small dog could push your yield up to 6.4% (£725 pcm) and enable you to take a 6 week deposit to mitigate any additional risk. Although the house is in a very good decorative state, I’d say that the bathroom is the weak spot of the property as a Buy to Let Investment. The double sink unit is quite an extravagance, however the shower over bath is frankly a bit disappointing. 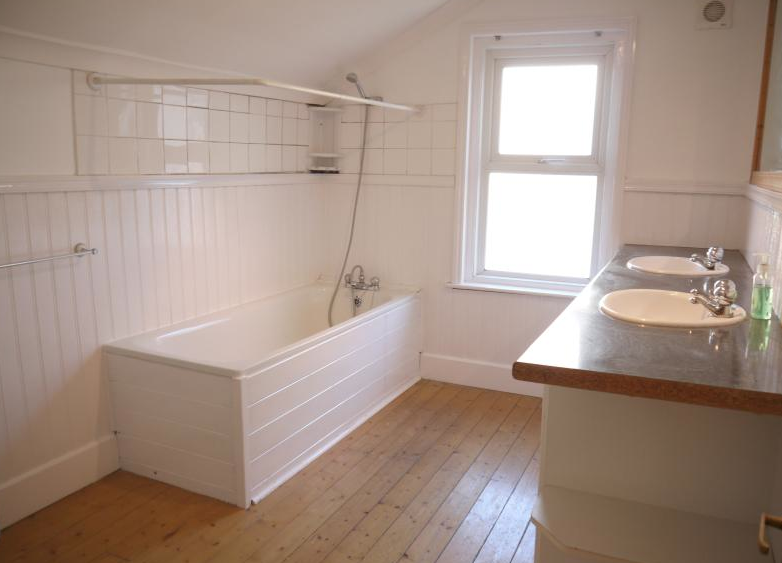 An ideal rental would include both a good bath and an attractive shower. Good tenants aren’t keen on the mixer tap shower and will avoid it where possible. In addition to this the tongue and groove cladding could encourage leaks and the tiling above looks like it has been there for a while. If it were my Buy to Let Investment then I would remove the cladding, invest in some new tiling and install an electric shower and glass screen. Finally I would replace the carpets in the bedroom for something a little more attractive and a little less grey. If you’d like more information about the Folkestone Market then visit our not so secret website: Folkestone Rental Market Report.